You don't need a handyman for minor drywall repairs. You can do it yourself—really! That said, the level of effort depends on the type and scale of the damage. Read on for details on what it takes to make the fix under common circumstances. Need to fix a ding in your drywall? Here are a few quick pointers. For holes or scratches less than a half inch across, simply fill the opening with joint compound—known in the trade as “mud”—using a wide-blade putty knife. Patching larger holes involves only a somewhat larger investment of time and effort, mainly because you must insert reinforcing mesh into the hole before applying the mud. If you don’t, the patch is likely to crack or crumble over time. Luckily, you can find reinforcing mesh easily, at your local home center or online, and with a sharp utility knife, cutting the material to fit the hole shouldn’t be too difficult. 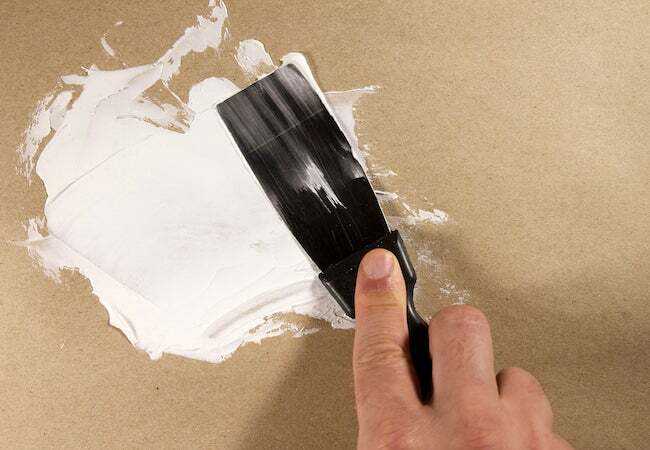 When applying the mud, you’ll get the smoothest finish if you use your putty knife to “feather” the edges. In other words, press harder on the outer edges of the mud as you guide the knife away from the center of the hole. Once the patch is dry, use fine-grit sandpaper to smooth the surface. Follow that with a second coat of mud, spreading the compound about two inches beyond the edges of the first coat. A final sanding… and you’re done!